Maldives has experienced heavy rainfall after a few months of scorching heat and dry weather. The meteorology office had earlier stated that it it is not likely that the country would experience rain before June. A special prayer known as 'Istisqa' was performed on Monday afternoon in all parts of Maldives. Istisqa is the salat performed for the seeking of water (rain) from Allah during drought and times of low rainfall. While a slight drizzle was observed during the prayer, rain fall was experienced around 11.30pm the same night. At 3 am, heavy rainfall was observed with thunder and lightening in Male' city, which stopped after 4.30am. The temperature of Maldives these days are at 31 degree Celsius. Health Protection Agency has advised to take precaution and to stay hydrated due to the heat. 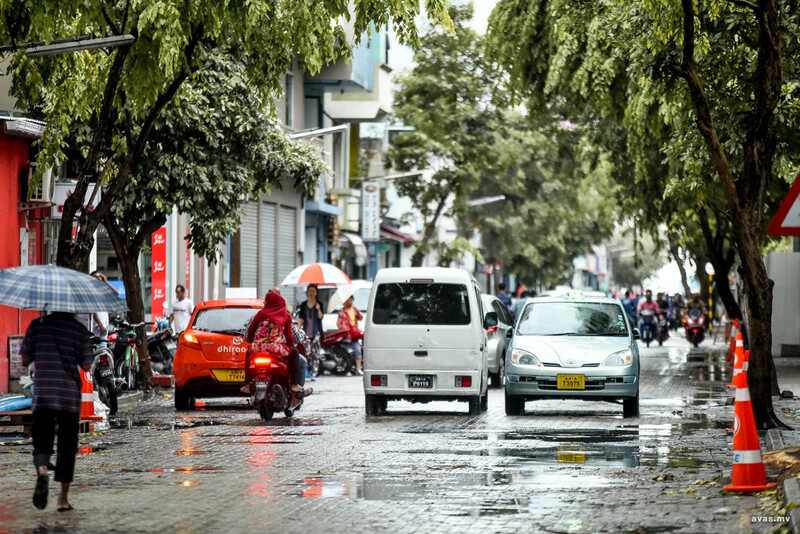 Male' City last experienced heavy rain on December 6, 2018.